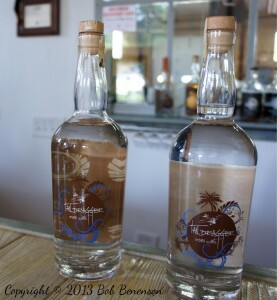 Discerning rum drinkers in the Chicago area may debate which locale produces the best variety of that tropical spirit. Some will say Puerto Rico, others Jamaica or Venezuela or Barbados or a variety of other nations in the Caribbean region. Now, at least a handful of Chicagoland’s craft spirits fans would include a new entry: Plainfield. 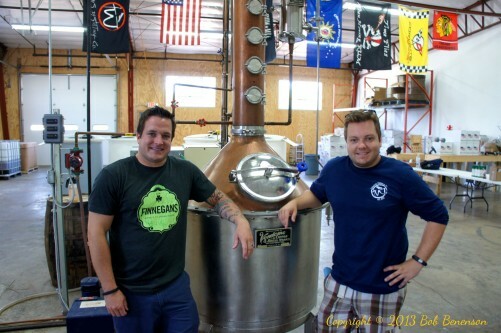 Plainfield, an outer suburb near Joliet about 40 miles from downtown Chicago, is the home of Tailwinds Distilling, which opened in 2012 as one of more than a dozen start-up craft distilleries launched in Illinois, most of them over the past five years. Operated by brothers Toby (left) and Jamey Beall, Tailwinds is still quite small, with an expected total production this year of about 1,000 cases of light and dark rums, a specialty coffee rum, and both a light and barrel-aged blue agave spirit. 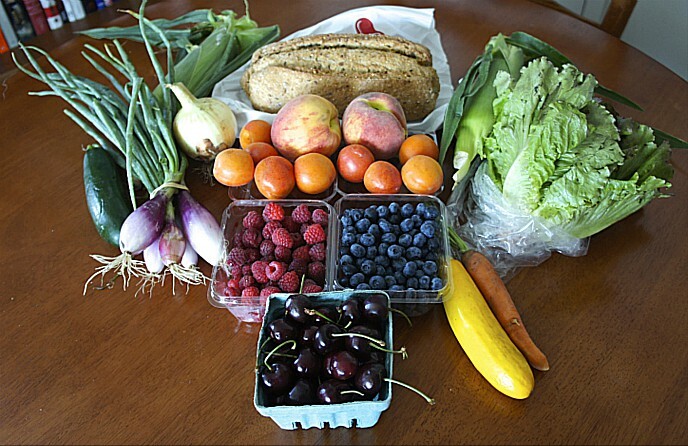 But there are expansion plans afoot — adding Nashville as a second market by the end of this year, and bringing in a second, larger still to go with their current one — to keep up with what they say is a burgeoning demand. The Beall brothers discussed their plans at the distillery in early September as they prepared to participate in the Independent Spirits Expo at the Chicago Hilton Hotel and Towers on Michigan Ave. Sept. 25. 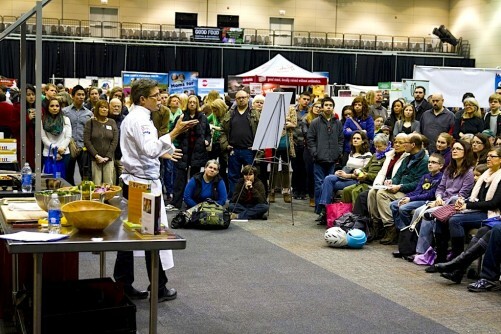 The expo held in September 2012 at a different location was Tailwinds’ coming-out party. The operation drew immediate attention because of the unconventional tropical emphasis of its product line. Most craft distillers tend to feature vodka, gin, and varieties of whiskey. While Tailwinds is hardly alone in producing rum — several others do too — it stands out for making rum its signature product. And far fewer distilleries, at least in the Midwest, are making blue agave spirits. Think tequila, but don’t call it that, because only blue agave spirits made in Mexico can be called tequila, and that industry’s lawyers are vigilant in making sure that custom is observed. The decision to produce these tropical types of spirits — and the name Tailwinds — stem from the distillers’ careers, in which they currently are still engaged. Both Toby and Jamey Beall are commercial pilots whose routes often include locations in the Caribbean, Central America and South America, which also helped them expand their knowledge base and appreciation for rum. As is the case with most craft spirits, the distinctions of Tailwinds products are in the details. 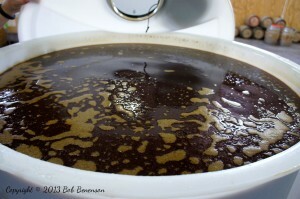 For instance, Toby Beall explained that many rums are made with blackstrap molasses that has been so heavily refined that many of the sugars and nutrients have been removed. He said Tailwinds, by contrast, uses “first boil” molasses that he describes as higher in flavor, delivering a product that he said “just adds something to the drink.” He also said Tailwinds never uses carbon filtering, offering that the practice strips flavor characteristics from the finished product. 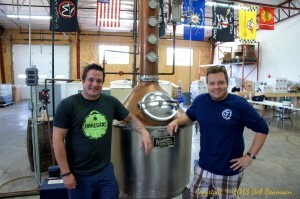 Like many small distilleries, Tailwinds also is trying to obtain ingredients from sustainable and local sources. The Bealls tout the all-organic agave nectar they receive from near Guadalajara, and the coffee beans they obtain for their coffee rum are roasted at Two Brothers, better known for their craft beers, which is located in nearby Warrenville. 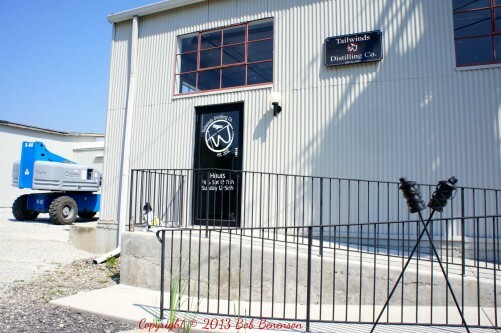 Tailwinds’ facility, located in a small and plain-looking industrial park in Plainfield, has a tasting bar in its front room that generally is open on weekends. It is easy to get to from Chicago, via Interstate 55, and the city’s western and southern suburbs — if you don’t get stopped at the freight train crossing right behind the distillery. Tailwinds Distilling is located at 14912 S. Eastern Ave., Unit 103 in Plainfield. Tasting room hours are noon to 7 p.m. Fridays and Saturdays and noon to 5 p.m. on Sundays; calling to confirm is recommended. Chicago Brew Werks, which sells home brewing supplies, is located in the same industrial park. This entry was posted in Craft beverages, Food Artisans, Food Entrepreneurs and tagged craft distilling, craft spirits, Good Food movement, rum, Tailwinds Distilling, tequila/agave. Bookmark the permalink.